Are You New To E-Cigarettes? One Stop Vape Shop is committed to helping you find an alternative to traditional cigarettes and our knowledgable staff can assist you in making the perfect choice for YOU. Vaping is the word used to describe using an electronic cigarette or personal vaporizer. Someone who uses traditional tobacco cigarettes is a “smoker” and they “smoke” cigarettes, someone who uses an e-cigarette is a “vaper” and they “vape” their e-cigarette or personal vaporizer. What Is an E-Cigarette and Where Did They Come From? E-Cigarettes are devices that gives us an alternative to smoking tobacco cigarettes by vapourizing “e-liquid” - a mixture of propylene glycol, vegetable glycerin, food flavourings and sometimes nicotine. The first e-cigarettes as we know them were created by a Chinese pharmacist Hon Lik in 2003 but didn't enter the US market until late 2006. Since then the industry has expanded exponentially. Today, there is a massive selection of vapour devices available ranging from the humble e-cigarettes to high wattage advanced personal vaporizers used by advanced vapers. This is a very common question and it is also one of the most complex and difficult questions we are faced with. With vaping, many things like taste for instance are subjective and what works best for one person might not work as well with the next. This is further complicated by the large variety of devices available today. Instead of saying one or two specific devices are best we feel it more appropriate to break down the different styles of devices by experience and the skill level needed and let you make the decision yourself. You can then know what direction to move in if you are ready to move to a more advanced device. Beginner – We define a beginner as someone with very little or no experience vaping. Someone unfamiliar with electrical concepts like Ohms Law for example. For this category we suggest low output regulated devices that use integrated internal batteries. Paired with Clearomizers that use easily replaceable coils with a resistance over 1.0 ohms. This maximizes safety and ease of use. Although more complex devices will outperform these devices they are often more than suitable for most users if for nothing else than determining if vaping is right for them and justifies the expense of a more advanced device. We have a large selection of Starter Kits suitable for this purpose. 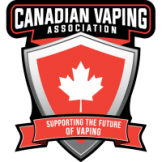 Intermediate – We define an intermediate vaper as someone who is familiar with e-cigarettes and has some experience using them. They have an understanding of how their devices work, know how to perform basic maintenance and troubleshoot basic issues with their devices. Someone who is looking for either greater vapour or flavour production. For beginners looking to step up to intermediate users, we recommend mid powered regulated devices (80w or less) and clearomizers with replaceable coils with a resistance at or above .5 ohms. These devices will deliver increased flavour and vapour production, while maintaining ease of use and safety. Advanced – We define an advanced user as a vaper who has an understanding of how vapour devices function. Someone who understands and has a working knowledge of Ohms Law, and the risks involved with rebuildable devices as well as someone who is knowledgeable and respectful of vaping and battery safety. Intermediate users wanting to make a step forward will have to decide if they want to enter into the world of rebuildable devices or not. If tinkering with gadgets is something you enjoy this is likely for you. But if not that's OK too. For those who don't have an interest in rebuilding but want to take another step forward into the world of vaping we suggest a high power regulated mod and a high wattage sub-ohm clearomizer. One Stop Vape Shop has all of the devices you will need as a new vaper or someone looking to upgrade to a more advanced product.